“Monster of the Week” mechanic that brings terror in the form of some of the show’s most iconic serial villains. 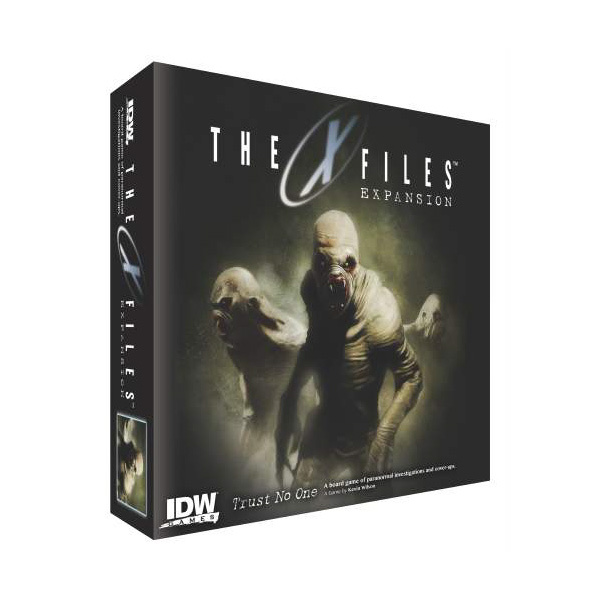 Tooms, Flukeman, the Peacocks and more will all make appearances as intimidating roadblocks ready to impede the progress of an X-Files agent foolish enough to investigate in their midst. Base Game Required: This expansion is not a standalone game. You’ll need a copy of the base game in order to use this additional content. Game design by Kevin Wilson. Artwork by Matthew Smith and menton3.